Steves Cleenz can offer your companies event a comprehensive onsite vehicle preparation service. With on-board water and electricity this enables us to work in the most remote of locations. For example: the middle of a field where there is no access to water and electricity, exhibition halls and large events to including: car shows / television & film industry / promotional events / launches & exhibitions / photo-shoots just to name a few of the events we have catered for in the past. 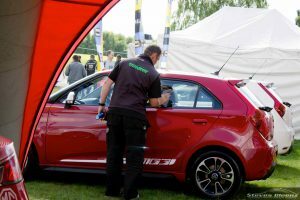 Steves Cleenz have been offering their corporate event vehicle valeting to automotive brands such as Audi, BMW, Hyundai and MG Motor and attending events at the British Touring Cars, Auto Sports International, Caravan & Camping Show, MG Live, London Olympics and London Motorshow, to name but a few. 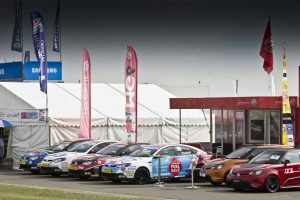 We have been offering event support on vehicles for over 20 years. 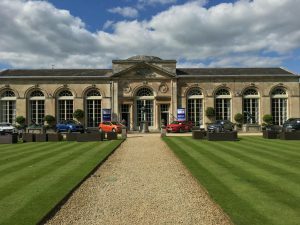 We offer a full range of exhibition and events services, whether it be a basic single day vehicle prep or a continuous day to day on site preparation.